August 17th is 'National Thrift Shop Day!' I shop at thrift shops all of the time. I cannot believer the things that I can get from them. Coffee cups because mine always seem to disappear, dishes, cleaning supplies, posters, pictures and even shoes. Thrift shops are the best place to find things that in some cases, are practically brand new. I have found even name brand items at thrift shops with the original tags still on them. I have found Oakley sun glasses there, jewelry that you would even know were bought at a thrift shop and even some of my cleaning supplies. Even in a pinch, I have bought toilet paper at a thrift shop when I couldn't get to Cost-co that day! 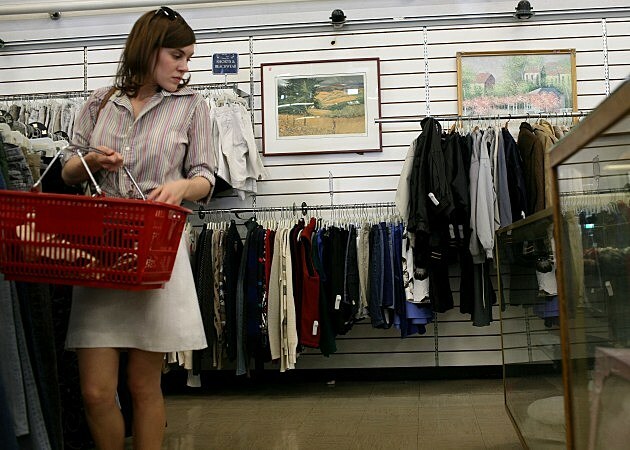 What is your favorite thing to look for at a thrift shop?